Looking to hangout with likeminded conservatives while testing your masonry skills? Then the “Another Brick in the Wall Ball” may be up your alley. The Republican Women of Waukesha County is hosting the soirée next month to “officially” kick off the 2020 election season. But if you’re expecting Hispanic conservative leaders to be there, you might have to wait until the next party. While it is a “ball,” attendees should leave their flowing gowns and tuxedos at home as they are encouraged to wear their favorite “MAGA gear.” Things may also get a little messy as they participate in the advertised “Build the Wall” competition. 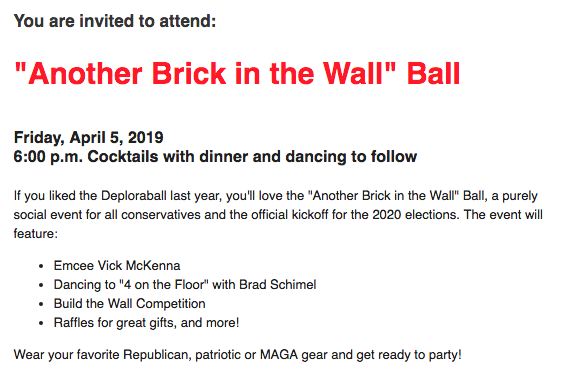 The $50 per head event boasts that former Attorney General Brad Schimel and his band, “4 on the Floor,” will be there to provide music which the organizers promise can be danced to. Talk radio personality Vicki McKenna and at least nine other people who have responded as “going” on the Facebook event are expected to be in attendance. But is an event like this really the best way to open up the 2020 political season? 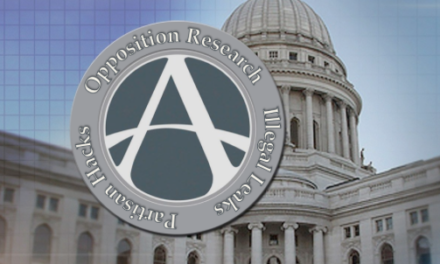 Another Republican official, Mario Herrera, who is the Hispanic Outreach Director for the Republican Party of Wisconsin, echoes those thoughts and says he sees no issue with the event’s theme saying it will be no hindrance to his outreach mission. When you dig deeper, most Republicans who say they are in favor of the border wall do not necessarily care if it’s a physical barrier, or better surveillance, or more border agents, etc. “The wall” is symbolic of that to them, but it represents something else apparently to the majority of Latinos. Ivan Gamboa, who is the Hispanic Heritage Director on the Executive Committee of the Republican Party of Wisconsin, says the event will be less than helpful with Hispanic outreach. Why? 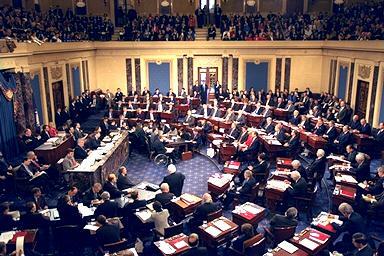 Because of what “the wall” symbolizes to most Latinos. Unfortunately, because of the rhetoric surrounding the border wall, Gamboa says that Republicans probably have a lower-than-usual ceiling when it comes to the Latino vote. 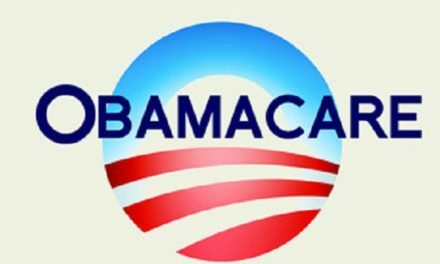 So what does “the wall” symbolize? ‘The Wall’ is in your face. 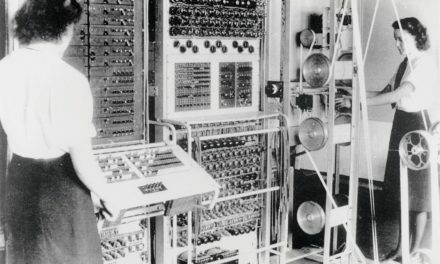 It has become a metaphor for a certain strain of nationalism and a number of other corollaries people aren’t necessarily on board with. If this weren’t true, we wouldn’t be seeing a difference in the polling numbers when people are asked if they support border security and if they support building the wall. They don’t mean the same thing to people, and invariably, people are more supportive of border security than they are the wall. Rep. Rodriguez will not be attending the event. Latina conservative Tamara Olivas, Director of Community Outreach for Hispanics for School Choice and emcee for Mexican Fiesta, affirms this feeling of the theme’s focus on the wall being “divisive.” In her experience with outreach, she said most Latinos find the wall to be a symbol of exclusion. The comments of Gamboa, Rodriguez, and Olivas echo the data when it comes to “the wall” issue. When asked specifically about the wall, 75 percent of Hispanic Americans say that they oppose it. Indeed, even about half of Latino Republicans oppose it. 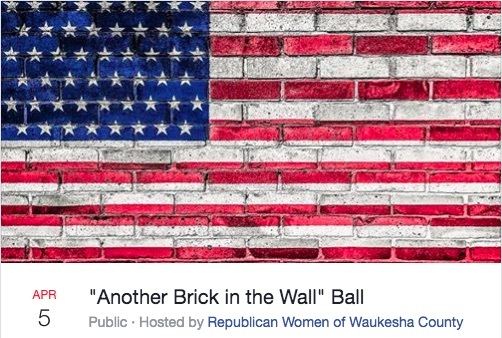 So why did the Republican Women of Waukesha County go out of their way to name their event the “Another Brick in the Wall Ball?” It does not exactly roll off the tongue. The best explanation is that genuine Hispanic outreach is something of an afterthought to the Waukesha County GOP. This is a shortsighted error as Latinos are a fast growing population in Waukesha, the state, and the country as a whole. 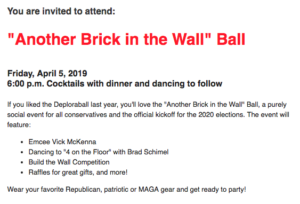 Hispanic conservative leaders, even those outside the official Wisconsin GOP echo chamber, ought to be consulted before the party gives in to the urge to name border-themed parties. The Republican Women of Waukesha County, the Waukesha County GOP, and the Republican Party of Wisconsin are tone-deaf when it comes to impacts on Latino outreach. Conservative radio hosts such as McKenna and politicians such as Schimel do the future of the GOP no favors when they participate in obnoxious events such as this. To say that a build-the-wall theme actually helps Hispanic outreach flies in the face of all the data available. 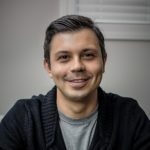 Officials in charge of Latino outreach for the Republican Party of Wisconsin may have no issue themselves with the symbolism of “the wall,” but to be effective at their jobs they should at least be aware of its perception amongst many conservative Latinos and the Hispanic community at large. If Republicans want to get serious about Hispanic outreach, they ought to tap into the experience and heed the advice of Wisconsin Hispanic community veterans like the ones cited here. Until then, they will just be twisting in the wind, and Hispanic outreach will remain an afterthought thanks to tastelessly themed parties.